Written by Bonnie S. Glaser. 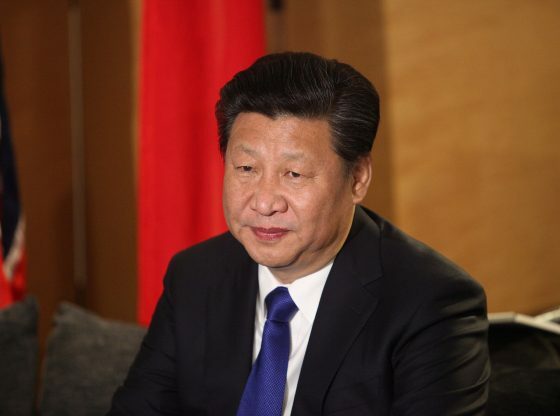 On January 2, Chinese President Xi Jinping delivered his first speech focused exclusively on policy toward Taiwan. The occasion for the major policy address was the 40th anniversary of the “message to Taiwan compatriots,” which marked a shift in Beijing’s policy from seeking to “liberate” Taiwan to a new approach of “peaceful reunification.” Having concluded some time ago that Taiwan’s President Tsai Ing-wen seeks to further separate Taiwan from mainland China rather than promote integration, Xi’s speech was a blatant attempt to bypass the government in Taipei and persuade the people of Taiwan of the benefits of reunification. His appeals fell flat, however, and revealed Xi Jinping’s shallow understanding of Taiwan’s democratic system and the aspirations of its people. After recounting China’s painful history of national humiliation at the hands of foreigners beginning with the Opium Wars of the mid-nineteenth century, Xi called on Taiwan “compatriots” to be “proud to be Chinese” and to join their brethren on the mainland in striving to achieve the goal of national rejuvenation. In recent years, however, most polls conducted in Taiwan show that approximately 5 per cent of Taiwan’s citizen self-identify as Chinese. The majority of Taiwan’s population considers Taiwan and China to be two separate countries. Ignoring the fact that China’s proposal of “one country, two systems” has been roundly rejected in Taiwan, Xi presented it as the best and only offer. His overture to “explore a Taiwan plan” for “one country, two systems that “will give full consideration to Taiwan’s real situation” was likely intended to reassure Taiwan’s people that they would get a better deal than Hong Kong. The erosion of Hong Kong’s promised freedoms in recent years under Xi’s rule, however, has strengthened Taiwan’s opposition to “one country, two systems” and heightened fears of political integration with China. A survey conducted after Xi’s speech by the Cross-Straits Policy Association found that more than 80 per cent of Taiwanese disapprove of the “one country, two systems” formula. In the same poll, 55 per cent of respondents denied the existence of the “1992 Consensus” which refers to a tacit understanding reached between the CCP and the KMT that both sides acknowledge there is “one China,” but each side has its own interpretation of what “China” means. Xi’s promise that peaceful unification would respect “the social system and lifestyles of Taiwan compatriots” as well as fully guarantee their “private property, religious beliefs and legitimate rights and interests” may seem like an olive branch, but in fact, this is less than Xi’s predecessors offered. In 1995, Jiang Zemin tabled a proposal that included Taiwan retaining its armed forces and sending a representative to be the “number two leader” in the PRC central government. Xi’s 3,500 word-speech was widely criticized in Taiwan. President Tsai issued a harsh statement, warning Beijing not to draw the conclusion that the results of the local 9-in-1 elections mean that the people of Taiwan favour abandoning sovereignty or making concessions regarding identity. Even the KMT felt compelled to distance itself from Xi’s remarks. In a statement issued by the party, the KMT said that “one country, two systems” is not part of the “1992 Consensus,” and reiterated its position that the latter means that both sides of the Strait adhere to the “one-China” principle, but each side is permitted to have its own interpretation of the definition of China. Despite the many years that Xi Jinping served in Fujian province interacting with Taiwanese businessmen, he appears to have a poor understanding of what the people of Taiwan actually want and why there is little enthusiasm in Taiwan for unification with mainland China. Preserving freedom and democracy and the right to self-governance are considered imperative by virtually every Taiwanese citizen and few are willing to sacrifice these hard-won achievements, even for greater economic opportunity. Overall, Xi Jinpingʼs address commemorating the 40th anniversary of Chinaʼs adoption of a policy of peaceful reunification was primarily a restatement of Chinese policy toward Taiwan rather than a harbinger of a new approach. Xi reaffirmed Chinaʼs determination to unify Taiwan and the mainland, and pledged to achieve that goal through a mix of carrots and sticks. As in many other areas of policy, Xi Jinping appears confident that Chinaʼs approach will eventually succeed; in the meantime, China’s growing toolbox of diplomatic, economic and security measures can forestall Taiwan independence. At least for now, achieving reunification is not an urgent item on Xi Jinpingʼs agenda. Bonnie S. Glaser is a senior adviser for Asia and the director of the China Power Project at CSIS, where she works on issues related to Asia-Pacific security with a focus on Chinese foreign and security policy. Image Credit: CC by Foreign and Commonwealth Office/Flickr.